In the Ag2Nut Community of practice, members discuss capacity building and training in agriculture-nutrition linkages. 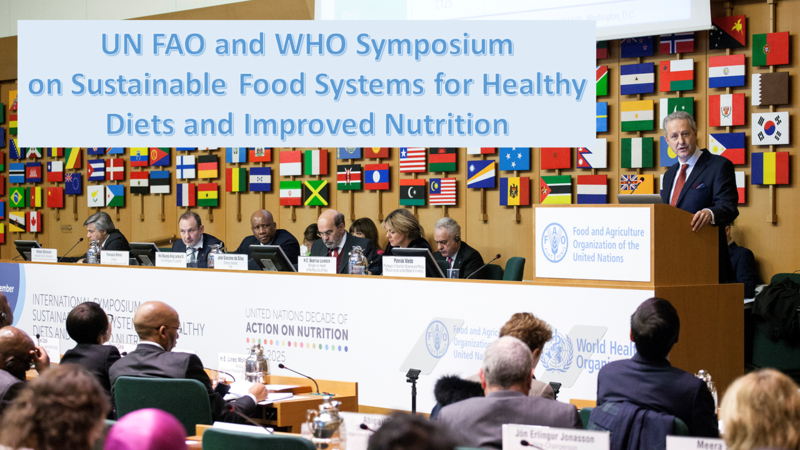 The February 2017 Community Call focused on the recent WHO/FAO International Symposium. One unique feature of this past Symposium was its student session, which allowed students from 8 universities in different regions of the world to learn from current policy discussions and to convey their views. This call included takeaways from this session, led by Orion Kobayashi, plus recaps of the event from Anna Lartey, Director of Nutrition and Food Systems (ESN), FAO, and Denise Costa Coitinho Delmuè, WHO/FAO International Symposium coordinator and Senior nutrition consultant for the Office of Director ESN-FAO.